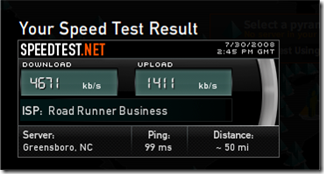 At the Raleigh office, we recently upgraded our Time Warner Road Runner business class plan to 5 Mbps down, 1.5 Mbps up. 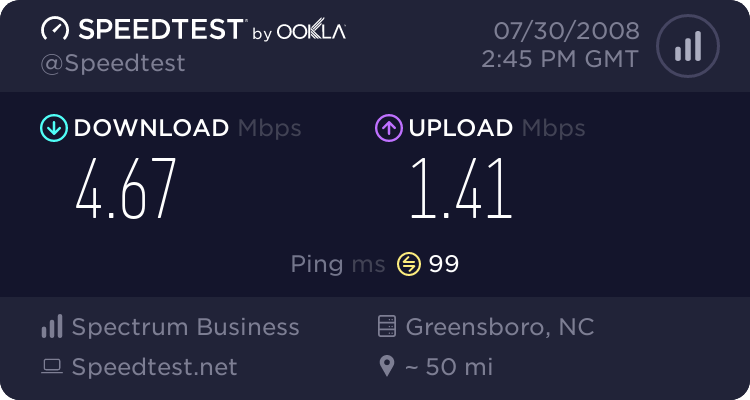 If you have to verify a speed test, the best site I've seen is at Speedtest.net. Speedtest.net provides a very interesting looking graphic interface along with some very interesting comparison statistics. Did you ever want a reason to upgrade? Before you start a new project on a mature stable Microsoft technology, you might want to check to see if it is still supported. Microsoft typically provides support five years after the product general availability. For example, did you know that Microsoft .Net 1.1 mainstream support ends in October 2008?